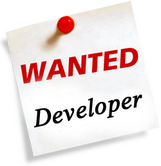 Antasoft is hiring PHP Developers for various projects. The Candidate must possess excellent analytical and programming skills. Candidates will be selected based on their creativity and dedication for their work. • Minimum 6 months of experience in developing web applications. • The Candidate must have sound knowledge of Open Source projects such as WordPress; Opencart etc. • Must be aware of latest advancements in web technologies and should have basic knowledge of Php Frameworks. Antasoft will also appreciate new talent who will be groomed with expert brains of the company. We would be happy to welcome fresh brains and Company would also remunerate the deserving candidates for sharing their workhours with it. Interested candidates with the above mentioned credentials should immediately apply at [email protected] or call Indore Office @ 0731-4268799, 9300454321 to fix an appointment for the Interview. 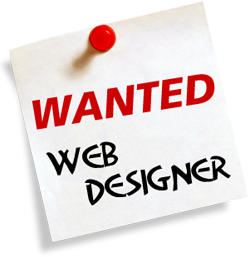 Antasoft is looking to hire talented Web Designer. We are looking to hire a candidate who is creative and passionate about his work and is open to new ideas and trends. The designer is expected to have minimum experience of six months and must posses a sound knowledge of Web Designing Tools and Table Less Designs. Additional knowledge of Open Source projects such as WordPress and Joomla will be an added bonus in screening interview. Good Knowledge of Web Designing Tools such as HTML, DHTML, CSS, Graphics etc. As we have always appreciated new talent and groomed numerous interns under experts of the company. We would also be happy to welcome fresh talent and would also remunerate the deserving candidates for sharing their workhours with us. Interested candidates with the above mentioned credentials should apply at [email protected] or call our office phone numbers 0731-4268799, 4268206, 9300454321 and fix an appointment for an interview. Antasoft Technologies Pvt. Ltd. is a leading web solutions provider with over 500 clients worldwide and currently manages over 2000+ domains. We are Hiring Interns ! At Antasoft Technologies we are looking for ambitious and enthusiastic individuals seeking challenging position. As our product spectrum is expanding and customer database is rapidly growing, we are in need of talented individuals who are interested in joining our team and help our company reach new heights. We have always appreciated new talent and groomed numerous interns under experts of the company. Internship with us is going to help all those new developing brains who want to build up their careers in the field of Internet Marketing, Search Engine Optimization & Website Design. We would be happy to welcome such talents and would also remunerate the deserving candidates for sharing their workhours with us. So, Don’t wait anymore to get your “Fresher”status changed to “Experienced” and contact us with your updated CV and recent photograph on [email protected] today!